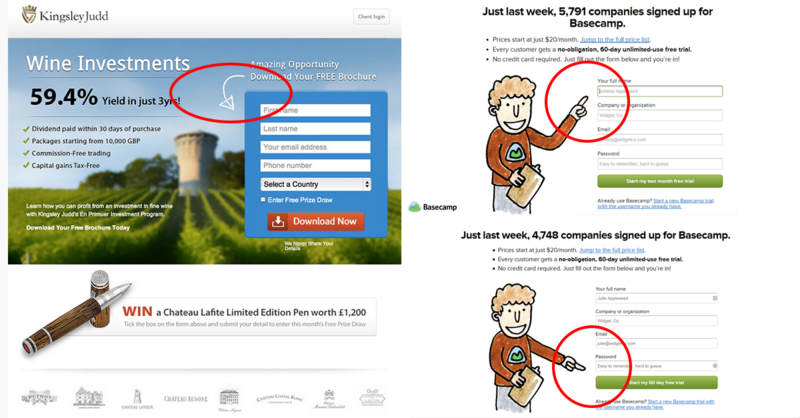 18 Top Tips Take Your Landing Page From Good to Great! 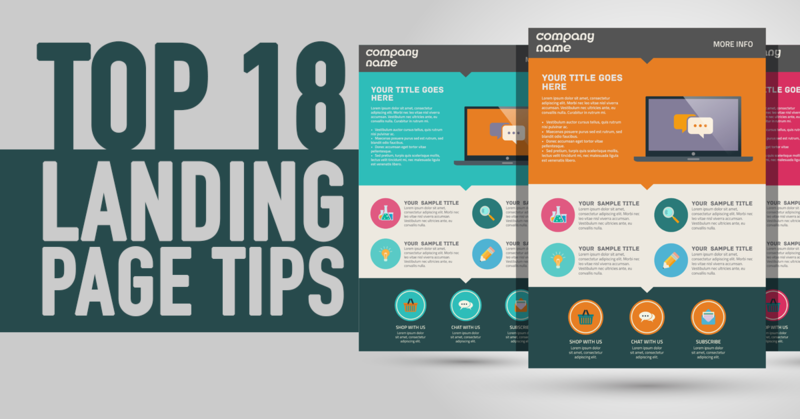 18 Top Tips to Take Your Landing Page From Good to Great! A landing page has one primary purpose: to get a visitor to the next step. 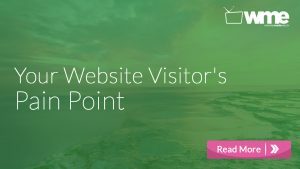 This can happen in many different ways and for many different purposes, but the ultimate goal is to get the visitor to interact with your website somehow. It is up to you to determine exactly how and why you would like them to do that. A successful move from the landing page to your desired goal is referred to as a conversion. Once your goal is met, you’ve successfully transformed a unique visitor into a customer. 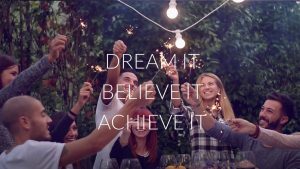 What am I hoping to accomplish? Am I aiming for my visitor to buy something? To subscribe to my newsletter? To sign up for a free offer? To download my Ebook? By defining your goal for your visitors, you will be better able to understand your overall strategy. You will be able to make the tweaks necessary in order to have your visitor reach your goal faster. 2. What is my competitive advantage? It’s incredibly important to have a solid understanding of the main competitors in your space. You are able to study what they’re doing well and therefore adjust your strategy. You can then compare what you have to offer that’s better or different from what they have to offer. There are some tools out there that can provide an incredible depth of insight into your competitor’s site. Three that come to mind as valuable resources include TrackMaven, SimilarWeb, and Hubspot’s Marketing Grader. One common trick many smart business owners do is to go through their competitors’ landing pages and sales funnels. Sign up for their newsletters and download their eBooks. Even shell out the cash to buy one or more of their products to see their thank you pages, delivery systems, packaging and support. See who reaches out to you by email or phone and how. Determine what made an impression on you and.. Emulate this for your own business and do it better. Add your own flare and your own unique value proposition. By understanding your audience, you will be better able to communicate value to them and fill their needs on a far deeper level. Additionally, it’s important to have a strong grasp of your ideal customer’s demographics. A 24 year old male from California may prefer something explained differently than a 53 year old female from Minnesota. 4. Where is my audience coming from? This is incredibly important for understanding how to shape your page and your page’s specific goals. A visitor from Twitter may prefer a different style than a visitor from another blog. Ideally you would be able to generate unique landing pages for each campaign from each major traffic source. However, this may take a lot of time a deep understanding of each traffic source and their unique ideal customer preferences. Since this may not be the best strategy for most small businesses, consider creating a unique landing page for each campaign. This will ensure that you’re driving traffic through a smooth funnel. You’ll find a higher conversion rate due to this consistency and your visitor won’t get lost or confused along the way. Now for our top 18 tips! Now that you’ve identified these fundamental areas and answered these critical questions, you’re now set to make your landing page great! Here are our top 18 Landing Page Strategies. 1. Keep it simple. A landing page should incredibly simple to understand. Any visitor should be able to understand who you are, what you’re offering, why they need it, and how to get it all in about 10 seconds. 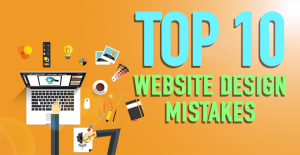 The last thing you want your visitor to do is land on your page and bounce off right away because it was too busy, too overwhelming, or too confusing. A great landing page ought to provide all the basic information in a very clear and concise way. 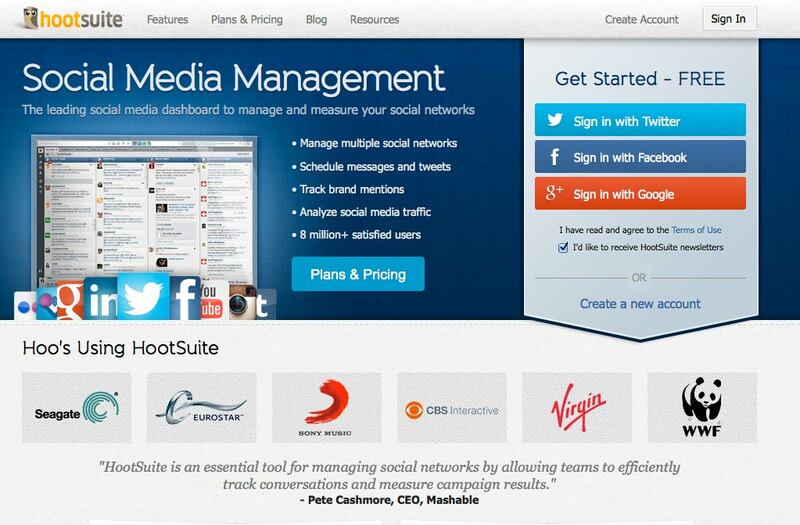 A fantastic example that comes to mind is Buffer’s landing page. 2. Provide value. Although your offer may be simple in its presentation, that doesn’t mean you can be cheap with the value that you’re providing. You can present your Master List of 78 Top Performing Headlines To Use On Your Next Article in a clear and concise way while still providing an incredible depth of quality. 3. Funnel visitors toward your goal. Lead your visitor to where they need to go next. Make your call to action braindead simple. Whether it’s signing up their name and email for a download or something more detailed, all paths ought to lead to that shiny green button. Even more advanced queries should lead to the same end goal: providing valuable results for a visitor’s wants and needs as quickly and easily as possible. Consider landing pages such as Kayak or airbnb. Their goal is to understand your destination, price range, and other details. The information needed is simple to fill out and gets straight to the point of providing the visitor their desired answers. 4. Make your call to action crystal clear. Once you’ve directed your visitor to your call to action, you’ll need to make it incredibly clear as to what will happen next. GoCardless, a leading online direct debit supplier, changed one word on their button and saw an increased conversion rate of 139%! They discovered that by changing the word “Submit” to “Watch”, they saw a huge increase in their Call to Action. Fab, an online retailer of home goods and accessories, found that by simply spelling out the words “Add To Cart” on their button, they were able to increase their conversion rate by 49%. 5. Use Enticing Headlines: Your main headline and sub heading ought to inform what you’re offering and explain how it will benefit your visitor. 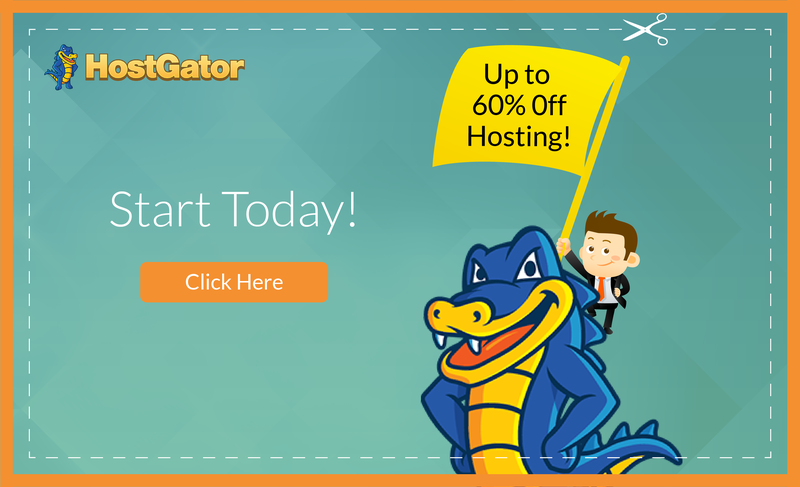 Make it irresistible for your visitor to click though to see what’s on the other side! Certain trigger words can spike interest and keep you reading! KissMetrics has put together 3 of their most persuasive words to, “influence people’s subconscious minds.” By using certain words such as You, Imagine, and Because in your copy, you’re able to “hypnotize” your audience. They’ll subconsciously keep reading and are more likely to take certain actions. Give it a try! You may just be pleasantly surprised. 6. Use video: one great way to increase your click through is to utilize video. If your product or service is rather complex, consider using a quick intro video: no longer than 1-2 minutes, to describe what you do and how it can benefit your visitor. You may also consider including video as part of your landing page especially if your product or service has to do with video somehow. 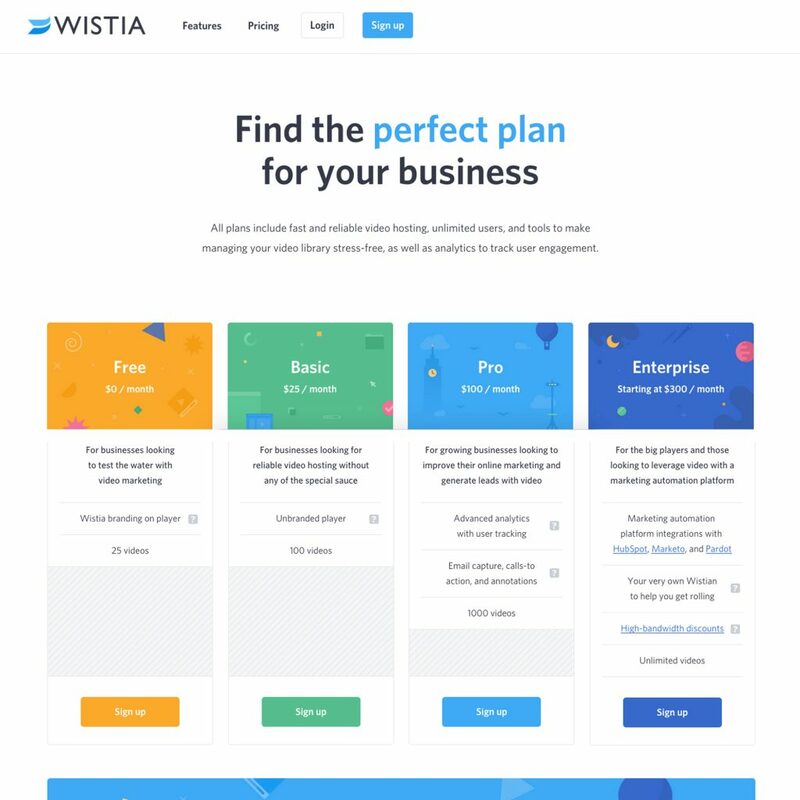 See Wistia and GoPro as classic examples. 7. Use stunning and relevant imagery. As your landing page funnels eyeballs toward your call to action, you’ll want to be sure to use memorable and relevant imagery. 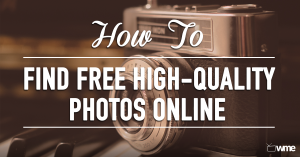 High quality images not only grasp attention, but can also lead your visitors toward your call to action. Consider using imagery to help highlight certain areas. Certain areas, such as your sign up form or submit button can be highlighted by using arrows. Arrow can come in all shapes and sizes, but one trend I see working well are the carrots or notch shapes leading from one area to another. Notch: A great example of a very simple notch can be found on Salesforce.com. Carrot: Carrots also work well to lead attention to the next area. 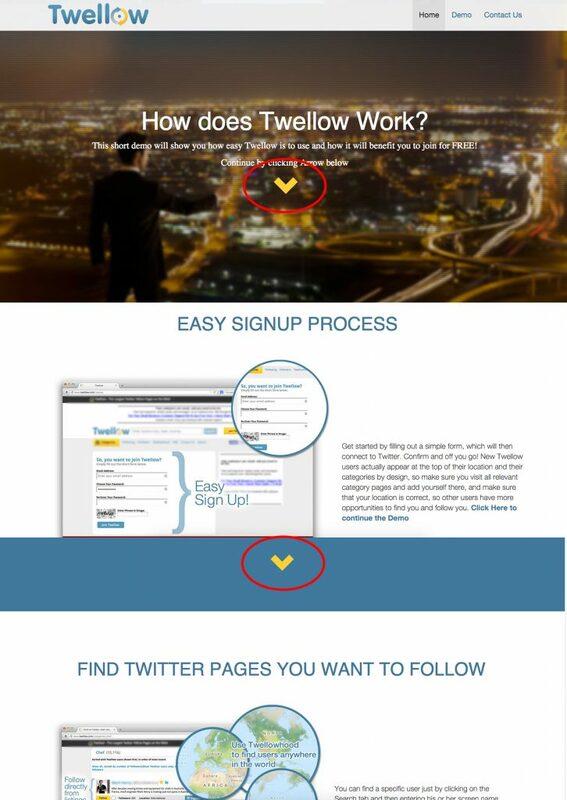 See Twellow’s page. Arrows: Curved lines or hand-drawn arrow styles are extremely effective in directing attention to your call to action. 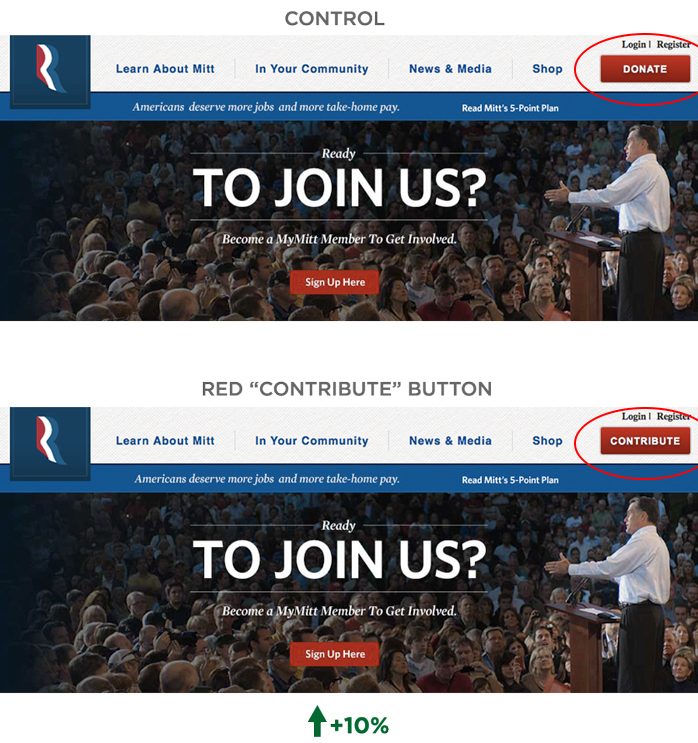 Wide arrows: Arrows may act as a border or may also be cut out of images to make a subconscious arrow-like call to action. 9. Maintain a consistent message: be sure to maintain a consistent message through your copy, color schemes, and imagery from your ad to your landing page. This is incredibly important as visitors will remain confident they are on the right path toward their goal. Maintain this consistent messaging and you’ll be better equipped to hold attention and not lose anyone along the way. 10. Only ask for needed information: as you increase the number of fields in your form, you’ll dramatically increase the bounce rate and drop off rates. If your conversion truly requires only their first name and an email address, for example, don’t ask for their phone number and birthday too. Although this information can be helpful for future campaigns, there will be plenty of opportunities to gather that information at a later date. Another great point to note here is to not ask for last names or mailing addresses unless you need it for any sort of payment information. If you’re just offering an Ebook download, simply gathering their email address can be enough to provide the value they’re asking for. By gathering their first name, you’ll be able to craft a more personal email for delivery. 11. Use color: By using certain colors, you are able to depict different emotions and convey different messages. A classic resource that comes to mind is Neil Patel’s blog post, The Psychology of Color: How to Use Color to Increase Conversion Rates. 12. 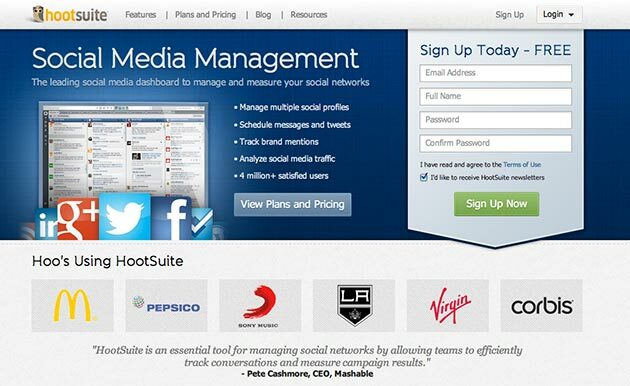 Show social proof: This is a fantastic opportunity to build buyer’s confidence. By showcasing social proof though various social media channels, such as numbers of likes, will do you wonders for building brand equity. Even better than showcasing likes, for example, is to showcase customer testimonials advocating for your services. This word-of-mouth proof speaks volumes as customers are likely to buy something that others have personally endorsed. But the crem de la crem is to have big name brands from trusted sources raving about your offer. If a world class influencer writes a raving testimonial about a particular book, you bet you’re going to find it on the back cover. Likewise, if big names like Sony have given your headphones 5 stars, you bet the product is going to be world class. 13. Optimize for mobile: Nowadays, it’s a must to have your site optimized for mobile. The takeaway here, however, is to have your landing page optimized in unique ways for mobile traffic. Traffic coming in from Twitter, Facebook, and Google ads over a mobile device was once in a super focused mobile-friendly format and now they’re on your website. If the user experience replicates the simplicity of a user on a mobile platform, then you’ve got it made! For more on optimizing for mobile, check out our article on How to Make Your Website Mobile Friendly in the Next 5 Minutes. 14. Optimize your Thank You Page: The thank you page is critical! The conversion goal has been met, yet your visitor will likely still want more. This is a critical opportunity for an upsell of related items, links to additional articles and tools, etc. However, if these same upsell items are placed on the landing page, you may overwhelm and distract your visitor away from the conversion goal. 15. 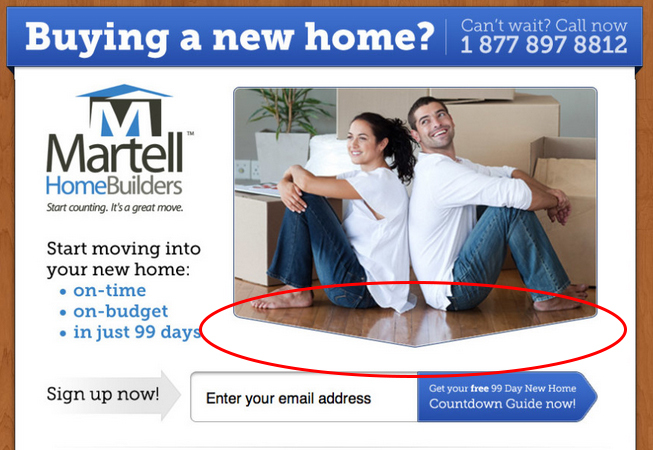 Splt test: Landing pages come in all shapes and sizes. Some perform far better than others depending on the specific audience, the offer presented, the traffic source, and even the stage at which a customer is in in their life cycle. All these factors and more contribute to the performance of a landing page. That’s why it’s so important to send your page through numerous A/B tests. A/B tests or “Split tests” are essentially comparisons between two pages. By altering one detail in the second page, you’ll be able to run the two pages against one another and track each one’s progress. Real customers will visit either page and at the end of the trial period, a clear winner will be reported. You can then take the winner and test something else again and again until you are happy with the results. Then test it again weeks later. You might be surprised that changing the color of a button from blue to green may double your conversions. Or you may be surprised to see that changing the words “Download now” to “Get it now” can make all the difference. 16. Track conversions: setting up a basic goal metric in Google Analytics, for example, can be done very simply. You’ll be able to measure the success of your page and identify key metrics detailing pieces of your page with insightful data from Google. You can then analyze how well each page is performing and make the decision to make a needed change. 17. Qualify your leads. Consider creating a landing page that leads your visitors to 1 of 3 options. Consider this example where first time visitors can choose option 1, 2 or 3 and travel through a funnel that’s more relevant and tailored to their specific needs. In effect, this strategy segments your audience for you and qualifies your new leads at the same time! 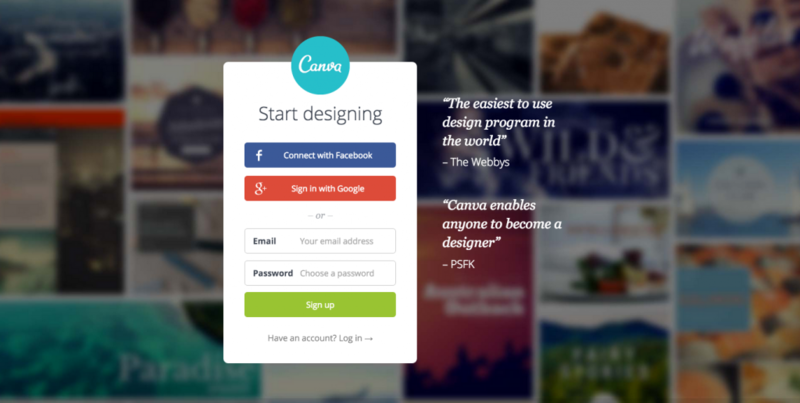 Canva, an easy to use web-based design program, encourages some creative interaction with their page. The page has their get started buttons to create an account and does well to draw attention to the form fields. Yet, the background is blurred until you hover your cursor over a certain area. It makes for a fun experience that may just get people to stick around a little longer and click through rather than hitting the back button. 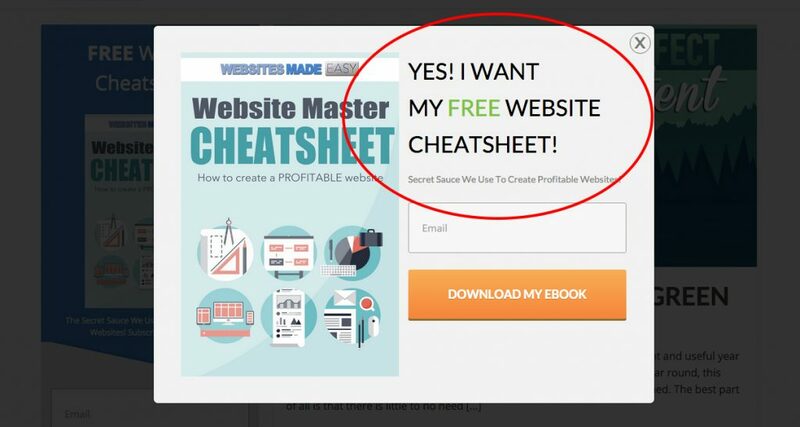 Now that you’re armed with these 17 strategies, you’ll be better equipped to turn a good landing page into a great landing page! You’ll be able to turn your cold traffic into red hot leads and increase your conversion rates. 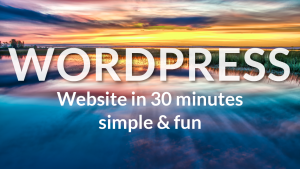 With all the styles, colors, and messages you can create just about any type of landing page imaginable, but the important thing is to start today! Start by building a landing page (even if it’s braindead simple) and continue to make those tweaks. Track your conversions along the way and continue to iron out the edges. After all, every great landing page out there had to start somewhere. They have been tweaked and tested again and again. It won’t happen overnight, but it’s incredibly important to get it right. Which strategy has worked best for you and which strategy do you hope to implement next on your page? Do you have a favorite example? 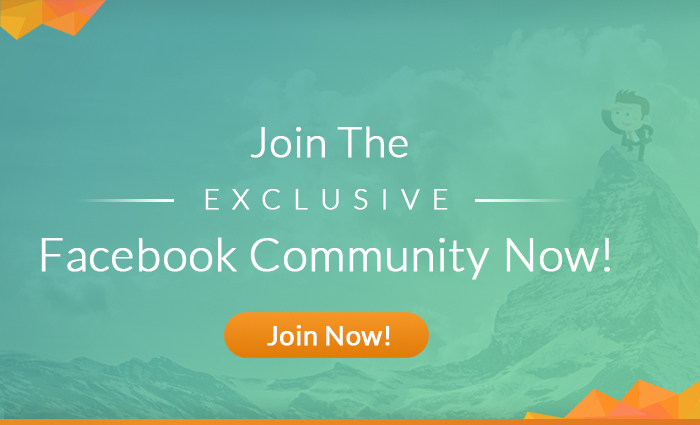 Drop us a comment and share your thoughts with everyone!